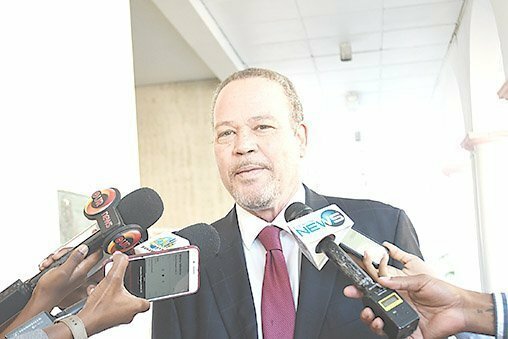 Attorney General Carl Bethel said yesterday that while the proposed Nationality, Immigration and Asylum Bill 2018 will not stop the “ceaseless assaults on our sovereignty by economic migrants”, it will help clarify how to deal with the issue of illegal migration. The bill, now out for public consultation, proposes sweeping changes to the country’s immigration laws in an attempt to fix the long-standing problem of statelessness and the rights of Bahamians to pass on their citizenship, among other things. The bill would allow any person who is at least 18-years-old or is an unaccompanied minor, to make a claim for asylum. The bill provides for the person seeking asylum to make a claim within six months of arriving in the country, whether they are in custody or landed in the country legally. But outside Cabinet, Bethel said, “Merely passing a law is not going to stop the ceaseless assaults upon our sovereignty by, basically, economic migrants. “Economic migrants do not qualify for asylum, and when they break our law by entering The Bahamas unlawfully, the bill will provide a more modernized framework and with a clarity as to those circumstances where a person may be returned to their home country by lawful process or summarily. Under the bill, those who were born in The Bahamas after July 9, 1973 to parents who were not Bahamian, and failed to apply to be registered as citizens by their 19th birthday, would lose that right and would have six months after the law takes effect to apply for some form of status or risk being deported. Bethel said that while he is aware that some groups may say the six-month period is not long enough, he believes it is sufficient. “I’m sure that human rights groups…may have something to say about that period of six months,” he said. “They may want it longer, but it stands to reason that if someone had 18 years to make up their mind, at the age of 18 to apply for Bahamian status, which the constitution would have given them, and failed to do so, it may raise a question. He added, “What this law seeks to do is to provide a legal framework in which the state has the flexibility. Bethel, however, was sure to note that the bill is out for consultation, and subject to further changes. The bill was drafted by the Law Reform Commission, headed by Dame Anita Allen. The bill, which is 123 pages, would repeal the Bahamas Nationality Act and the Immigration Act.